Dr. Otto Warburg was a German scientist who lived from 1883 to 1970. He earned doctor degrees in medicine and in chemistry and was at his prime in regard to scientific research from 1920 to 1960. He was one of the world’s greatest scientists, but mostly shunned by the Western World since he worked for decades in Hitler’s Germany. Dr. Otto Warburg was nominated for a Nobel Prize forty-seven times (more than any other person) and was awarded the Nobel Prize in 1931 for his discovery of the “nature and mode of action of the respiratory enzyme”. He devoted most of his scientific career to the study of cell physiology and metabolism, including the aberrant metabolism of tumors (cancer). His Nobel Prize was the result of years of study and seeking understanding of the oxidation- reduction activities in the mitochondria. 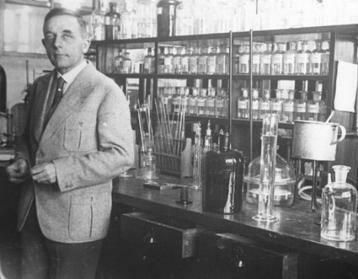 Dr. Warburg relied heavily on properly designed experiments, and making sure that these experiments could be duplicated by others. He was a pure scientist, preferring laboratory outcomes to scientific studies. His studies could be mainly summarized as showing that oxygen respiration, generating ATP energy from fuel in the mitochondria, is the basis of all healthy mammalian life. As oxygen respiration is lost due to mitochondrial damage or lack of cellular oxygen, tumors and cancer develops. “Summarized in a few words, the prime cause of cancer is the replacement of the respiration of oxygen in normal body cells by a fermentation of sugar.” Dr. Otto H. Warburg in Lecture.